Skin Food Aloe Sun BB Cream is another of my top BB Creams. I’m trying to review BB Creams that get a lot of airtime in my stash and not so much ones that sit around unused and unloved. This isn’t the best BB Cream in the world mine you but it is one I tend to reach for a lot. It has a fairly large cult following with some folks absolutely adoring it and others not really feeling the love. Of course, as I mentioned before, BB Creams are a super personal experience. You have to try a ton to find your perfect formula and shade. Let’s take a peek at the Aloe Sun one and see what’s so great about it. Skin Food Aloe Sun BB Cream comes in two shade selections however even the second shade is quite light. I use Shade 2 myself and it’s a fairly good fit since the product is a but sheerer than other BB Creams I own, don’t let that fool you though as it has plenty of coverage to conceal problem areas while perfecting skin. 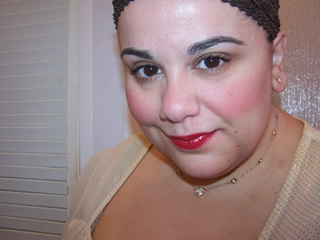 Shade two is a creamy paler beige with pink undertones. The shade is pretty pale but it does adjust accordingly once applied however a little pastiness is noticeable if too much is applied. However, since it runs a little sheerer I seem to get away with it and it looks very natural. I find the SPF 20 a bit disappointing but I typically apply a separate SPF prior to any makeup so I’m not sure I entirely mind the lack of protection here. However, it proves crummy if you’re relying on your BB Cream to provide the longest and best SPF. This contains aloe extract for a soothing, hydrating effect. For my drier skin, the creamy texture is extra moisturizing. It applies smoothly and blends seamlessly into a lightweight finish that evens out my skin tone while easing dullness. Pigmentation should hide redness, dullness, and dark spots if you have them however it isn’t as pigmented as other BB Creams so if you have major issues you’re wanting to conceal or if you want your BB Cream to act as a concealer under your eyes you might find Aloe Sun a little lacking. I find the finish soft and smooth with an airbrushed like appearance and the hydrating formula doesn’t accentuate my drier areas but acts as more as a cover for them so my skin looks moist and healthy even when it’s busy being dry and/or flaky. As with most BB Creams I’ve tried, it has a solid wear time and doesn’t oxidize or fade away quickly so I can get through my day without touching up while remaining flawless. 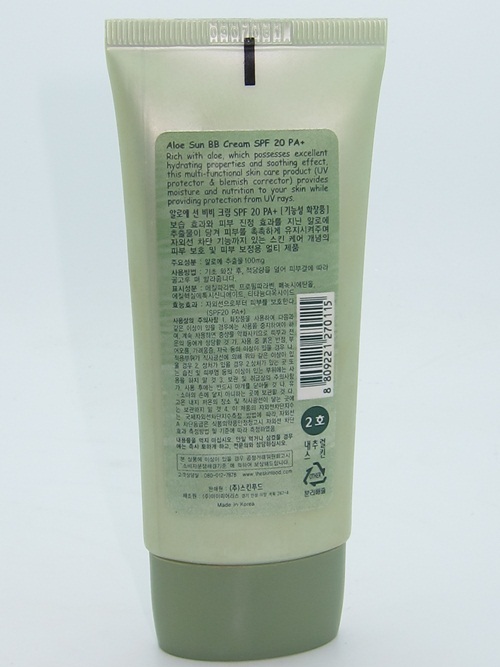 Overall, Skin Food Aloe Sun BB Cream is a solid choice if you want basic in your BB. This provides fairly good coverage in a soft, creamy formula. However, it does lack solid sun protection as well as many ingredients that would make it a multifunction BB Cream such as anti-aging, brightening, and whitening ingredients. It’s one of my favorites because I enjoy the lighter texture and hydrating feel that never, ever looks over done and always feels and looks fresh. As if I’m not wearing makeup at all! Sasa.com sells Skin Food and also E-bay is a good place to purchase however do be a safe shopper when buying BB Creams on the Internet! aw my pleasure hapa def agreed, it’s a great bb! I have been contemplating getting this one so your review could not have come at a better time! Thanks!! Do you use a BB cream instead of a primer under makeup? I doubt I could get away with wearing a BB cream instead of makeup, although I haven’t tried one so not sure. no, I always prime before using BB Cream or any foundation product lulu 🙂 How do you mean instead of makeup…? BB cream is a full coverage foundation product of sorts so you can most def get away with it ;-D It prob has more coverage than your foundation of choice. I’ll have to check one out then! I need one for oily skin, which I saw the Skin Food line has. 😀 the peach is a good oily skin formula. funny cj as I feel like 1 and 2 are almost identical shades. lol! What shade mac are you again? skinfood everything recs? or skinfood bb only recs? Ooh looks good! It’s in the same packaging as skin79’s bb creams. This one seems a bit more on the pricey side tho. But still way cheaper compared to regular foundations lol. Thanks :)! my pleasure! it is actually a bit $$ compared to the other skin food bbs! but very light. Not sure you absolutely need it tbh but the color is right for you! all the other skin food ones might be a little too dark for nc 15..! Hey Cj, not sure if you have access to the Face Shop BB creams, but I found those to come in a really wide range of skin tones and there are definitely some super pale ones, plus the quality of Face Shop BB creams are great – high coverage, for the most part. I LOVE this BB Cream! My mom brought me back a tube from South Korea when she was there and it was my go to until I used it up! I’m trying to track down a local supplier so I don’t have to pay shipping online (often shipping to Canada costs an arm and a leg). I’m hoping Koreatown here in Toronto has it! I can get Skin79 no problem, but Aloe was the best for me in the summer before I get tan! Really light, and just enough coverage. hello,muse, I’ve been trying this aloe bb cream, the price is affordable and the shade surprisingly can blend with my skin tone (although I’m not fair), but unfortunately it has poor oil control, for my combi-oily skin, I have to blot 2 hours after applying it. Do you know if Koren BB creams will work in a medium to deep complexion? I one to try one but my sister keeps telling me they won’t work for me because they are not meant for more deep skin tones. Can you please help me? I know they “adjust” to your skin tone but I don’t know. Thanks! cris missha offers some darker shade selections that will adjust to a deeper skin tone. check out their site and you can see the variety of shades they offer. could you pls tell me which skinfood bb cream shade would be good for me? i’m fair with pink undertones, and shade 2 of the good afternoon bb cream in berry is yellowish, while the aloe one in 2 is pinkish. quite confusing..
Can you please suggest me a BB cream for dry skin? I have a super dry skin problem . Will this skin food aloe help me?